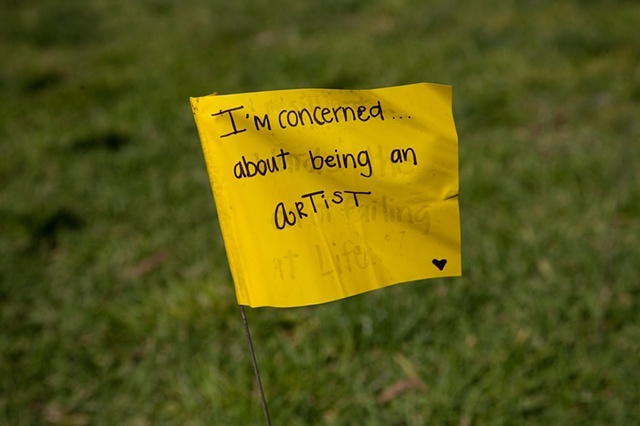 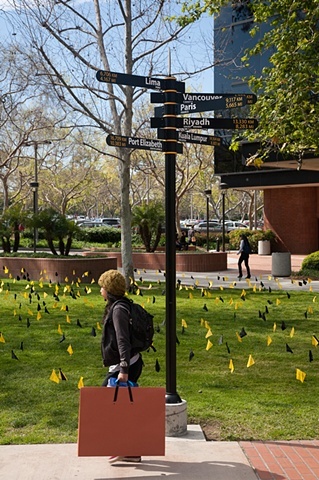 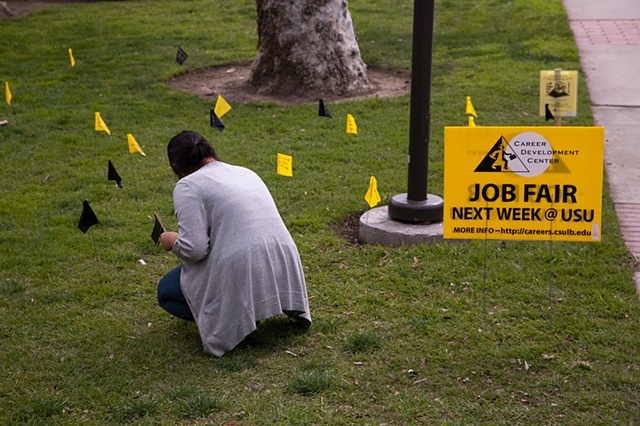 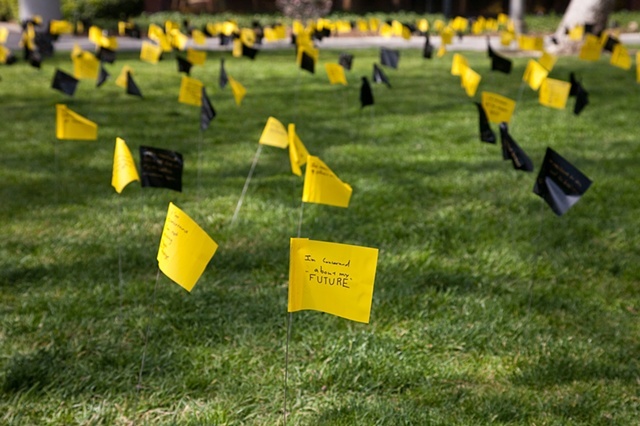 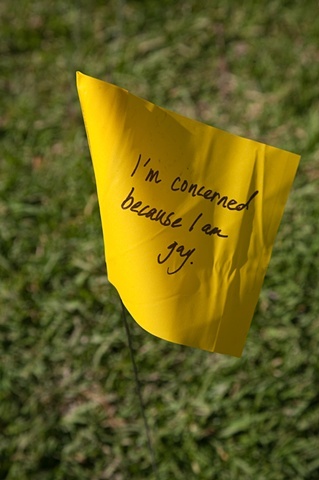 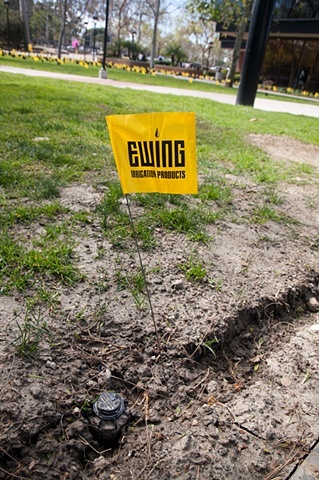 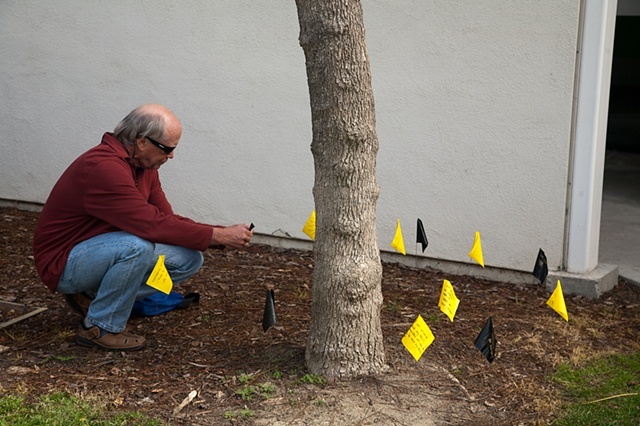 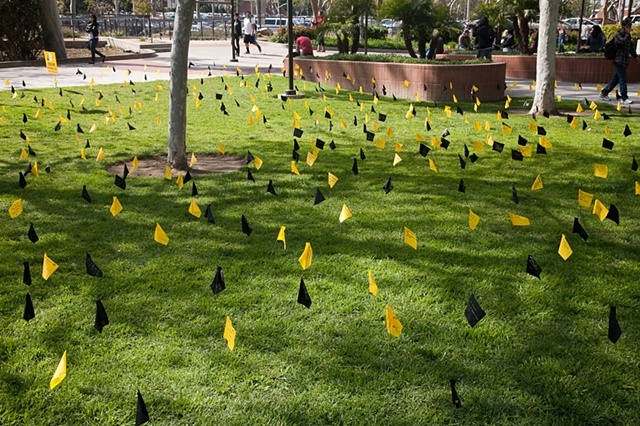 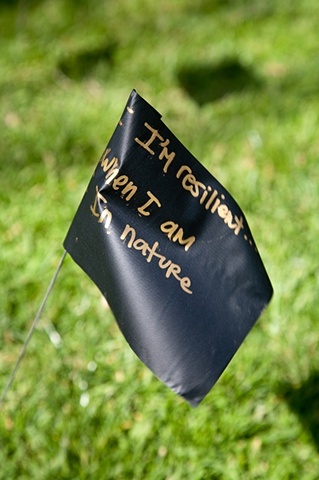 "Resilient Concerns" invited university students, educators, staff and broader community members at California State University Long Beach to create a large text installation on the lawn of a major crossroads on campus. 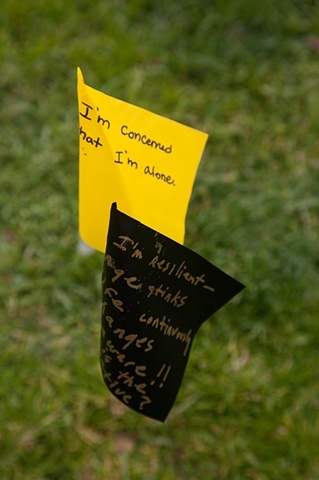 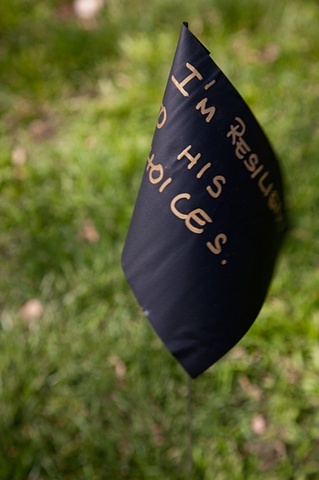 The projects invited participants to anonymously craft handwritten responses to simple conceptual prompts: "I'm concerned..." and "I'm resilient...". 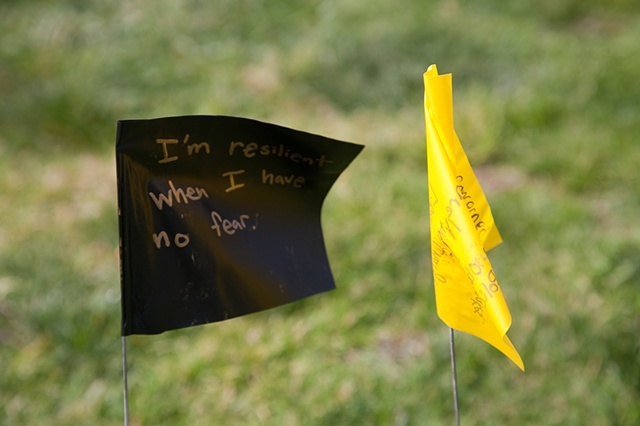 Quotidian materials were used—markers and common construction flags that are more typically utilized to mark culverts, irrigation routes, power lines and gardens throughout the landscape. 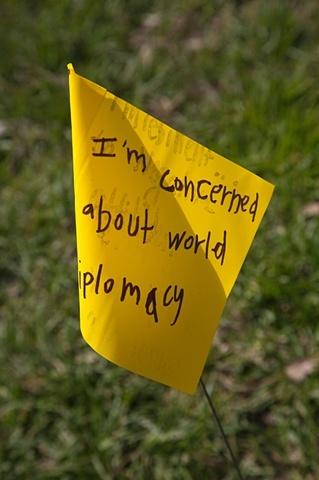 I like using everyday materials for the combination of their inexpensiveness, directness, accessibility, familiarity and surprise. 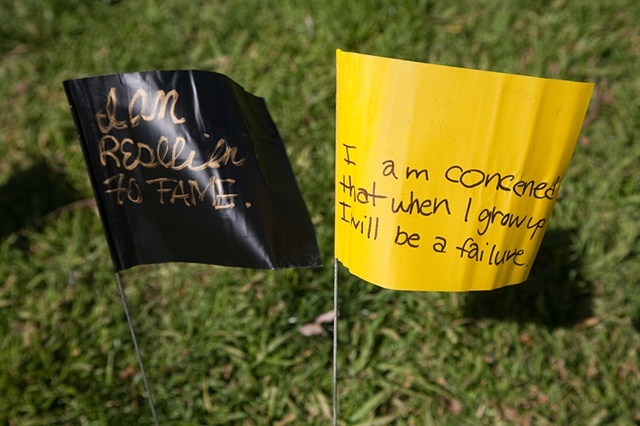 The prompts were generated after conversations with the curatorial team which consisted of graduate students. 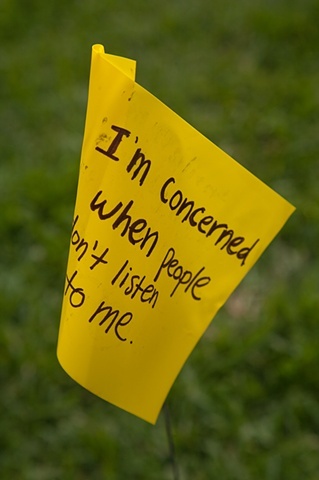 Specific content was then completely open-ended depending on what project participants chose to write. 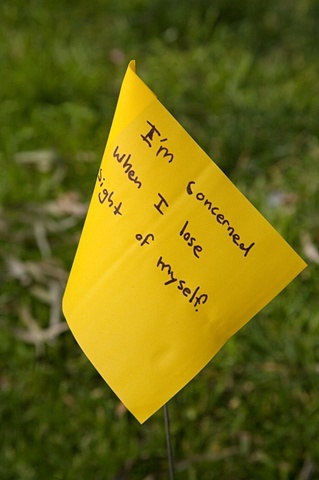 The anonymity of the responses invites greater honesty and vulnerability, which leads to more dynamic content. 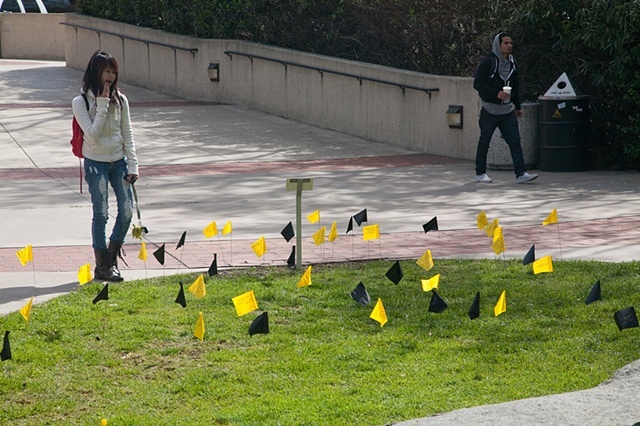 The randomized placement of the flags creates unexpected narrative juxtapositions. 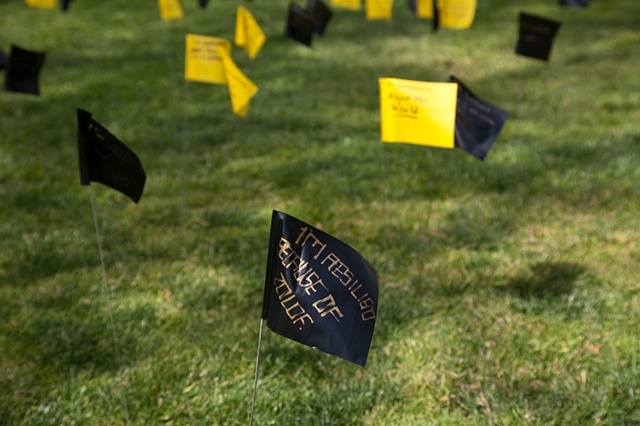 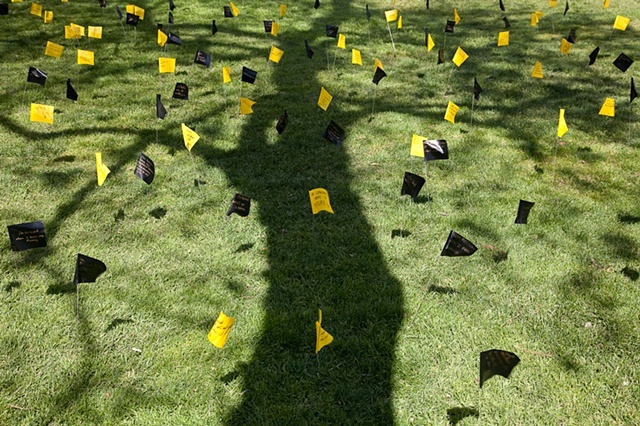 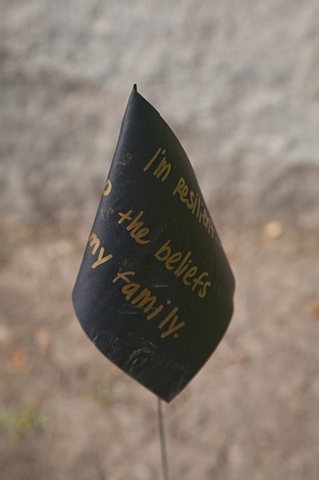 Once installed the flags can come to suggest a host of references, from leaves to flowers fluttering in the wind, from cemetery flag memorials to Buddhist prayer flags, or countless cellular text messages to old school notes passed in class. 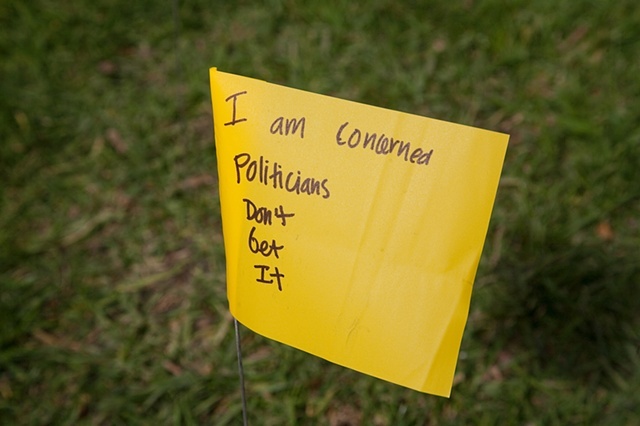 The handwriting suggests intimacy and individuality. 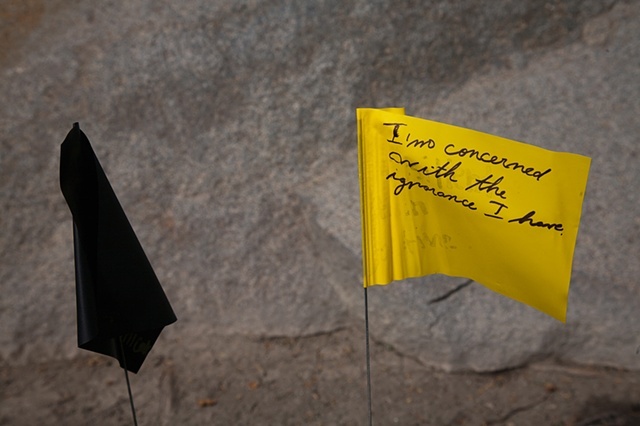 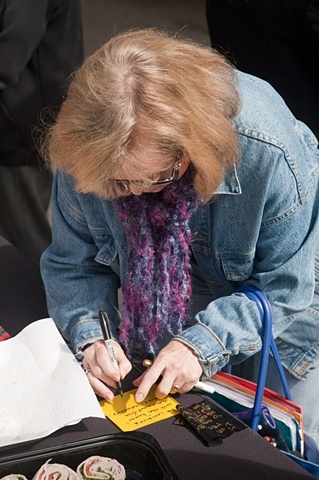 I also think of handwriting as the drawn word and a visual language that is quickly disappearing from our daily lives as digital communication proliferates.